Long time no see, eh? I’ve been a bad blog mommy again, but things have gotten hectic and I always have the feeling I get to do half of the things I want. Anyway, will I manage keeping up with my resolution of posting once a week? WordPress used to send me a reminder, but at some point it must have given up, lol that’s so not encouraging! 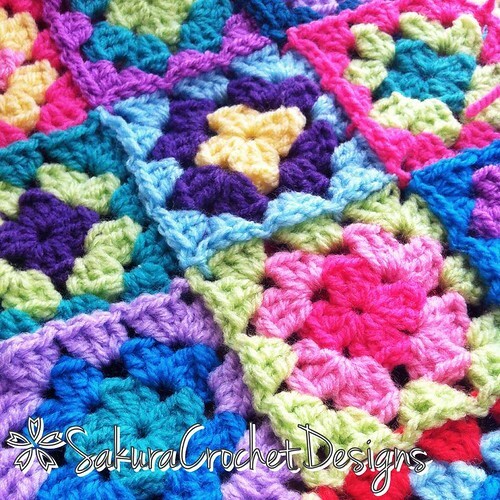 I am presenting you my latest crochet effort 🙂 I have decided to call it “Confetti baby blanket” beacause it’s so cheerful and bright! It reminds me of carnival! It’s a baby blanket, I’ve planned to make 130 squares, so it’s going to be 13 rows per 10 squares. I would also like to add a thick border so it should end up being pretty big! I’ve crocheted 30 squares this week, it’s growing pretty slowly, but I’m busy with work… hopefully it will be ready by the end of september… will I manage?